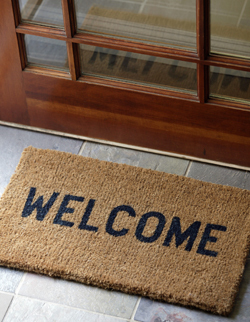 You will immediately feel at home the moment you wil walk in the door. During your first visit, bring your completed new patient intake forms with you or they can be completed with the front desk chiropractic assistant. For your convenience we offer online paperwork so you can complete them in the comfort of your own home. You should bring your ID and insurance information. Wear comfortable clothing and shoes. Set aside an hour in your schedule to be in the office. This is the information gathering visit and every case must have a consultation, history and examination. The examination includes a NeuroInfiniti SRE (Stress Response Evaluation), blood pressure (bilateral), postural exam, spinal scan, x-rays are optional and only done if the physical exam suggests a need. There is no adjustment rendered on the first visit. This visit you will need to set aside an hour in your schedule to be in the office. This visit includes a Report of Discovery and suggested care program. During this visit, you may be introduced to the MindFit Neurotrainer and receive a demonstration of the technology. This visit is when we determine your care program and care does not begin until you have committed to care. You will receive your first adjustment on this visit. The typical visit in a Brain-based Wellness practice usually takes 30 minutes to complete. During a typical visit, depending on the care program you have chosen, you will receive an adjustment as well as any other service we have deemed necessary for your healing and recovery. So, check us out here. Poke around. Get to know us. Then, contact our Roscoe chiropractic practice at (815) 389-7911 to make an appointment so we can get to know you.